Creepypasta: the online phenomenon driving teens to kill. Children are trying to kill people in the name of fictional horror characters. Hint: It has nothing to do with strange-looking macaroni. First, a 12-year-old girl was stabbed 19 times, allegedly by two of her friends, who were reportedly driven to kill due to their love of a fictional horror character called Slenderman. The girls, also 12, were charged with attempted murder. A week later, a 13-year-old girl repeatedly stabbed her mother to please the made-up horror figure. The teen’s mother said her daughter – who was in the kitchen, wearing a white mask, waited to attack her when she returned home from work – and was obsessed with the fictional man. 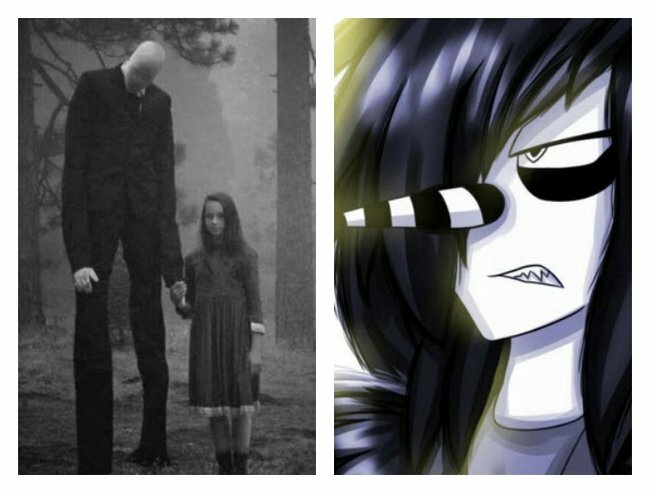 Slenderman, a tall, thin man with a blank face, originated via a Photoshop competition and grew into a character who stalked and traumatised his victims through imaginative stories written about him by people preoccupied with the horrific and bizarre. And, now, a 12-year-old girl has allegedly killed her stepmother after a fictional clown called Laughing Jack, from the same website that bore Slenderman, ‘told her to do it’. The website that features the characters blamed for turning youngsters into potential killers is CreepyPasta. ‘Creepypastas’ are horror legends – often brief, user-generated stories – or pictures that have been shared across the internet. Common themes include murder, suicide and paranormal activity. And internet users are lapping them up. In the most recent – and first known fatal – case, court documents allege the 12-year-old girl had begged her father for help for months before allegedly setting her family’s apartment on fire and murdering her stepmother in July. The US tween has been assessed as unfit to stand trial by three doctors, who diagnosed the girl with multiple personality disorder and post-traumatic stress disorder. A court order states the 12-year-old heard voices and had an alter ego months before she acted “at the direction of a fictional character found on the Creepypasta website known as ‘Laughing Jack’”. It’s the latest in a string of crimes allegedly blamed on creepy fictional characters. And, with numerous forums devoted to creepypastas and social media accounts ‘belonging’ to the fictional characters adored within those sites popping up, the potential consequences of young minds becoming preoccupied with them is rather frightening.